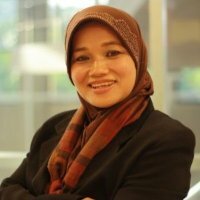 Dr. Saadiah Mohamad is professor of Economics at the Arshad Ayub Graduate Business School, UniversitiTeknologi MARA, (UiTM) Malaysia. She has written many papers, especially on exchange rate modelling, exchange rate regimes, Malaysian currency peg experience, Southeast Asian exchange rate policy and on her current research interest: Islamic Finance. She is one of the contributors for what is considered to be the world’s first comprehensive text book on Islamic Finance published by the International Shari’ah Research Academy for Islamic Finance (ISRA). Recently a visiting research fellow at the Oxford Centre for Islamic Studies, she hopes her work on Islamic Finance for the social sector will bridge the gap between Islamic Finance and Social Finance.